With sophisticated elegance on one side, bohemian charm on the other and rich history all around, Place Dauphine is nestled between the very best neighborhoods in all of Paris! Rooted firmly in the middle of the Seine river on the historic Île de la Cité, Place Dauphine is surrounded by a delightful mix of different neighborhoods, each with their own unique beauty and personality. Just choose a direction, start walking and you're guaranteed to come across something amazing, whether it be architecture, shopping, history, art or food. 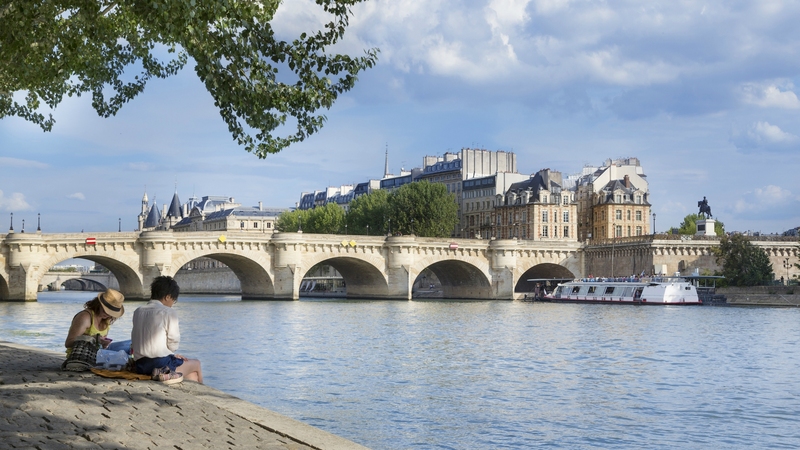 There's no better locale in Paris for discovering all this multifaceted city has to offer. Despite being so centrally located, Place Dauphine is quiet, calm and peaceful, sheltered from busy traffic and noise pollution by the Seine river on either side. 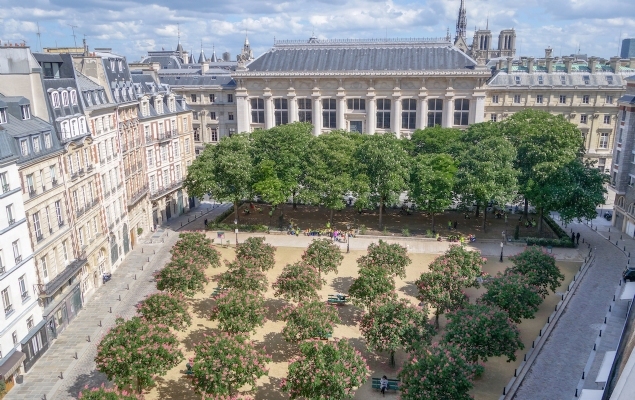 Wedged into the western tip of the Île de la Cité, Place Dauphine is famously triangular in shape, and dotted with young chestnut trees that come alive with pink blossoms in the spring. The square is relatively unknown to tourists, since it's mostly hidden from the main roads, making for a wonderfully idyllic haven in the middle of the city. About 2,000 years ago, Paris was born on the Île de la Cité as a Roman settlement, the ruins of which you can still see today. 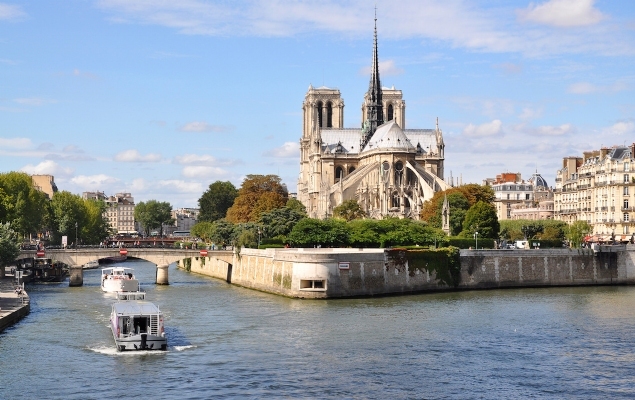 The island is also home to some of the best examples of Gothic Architecture in the world - Notre Dame and Sainte-Chapelle - as well as a sprinkling of government buildings and a lush flower market. Here is where you'll find Kilometre Zéro, the point from which all distances and roads were measured in France. The quaint and secluded Île Saint Louis has the feel of an old fashioned village, thanks to its array of authentic, 17th and 18th century residential buildings and narrow "main street" that's lined with boutiques, cafes and ice cream shops. 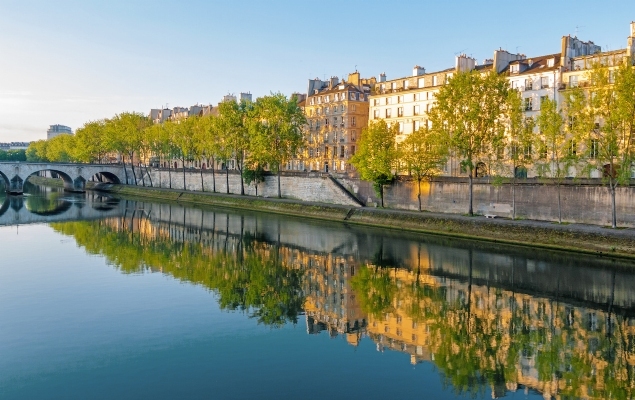 The riverbanks circling this island offer some of the best views in Paris, which are only improved by the sweet sounds of street musicians on the Pont Saint Louis. You couldn't find a more classically Parisian setting than this! The Left Bank, or Rive Gauche, is home to the Latin Quarter, a charmingly rustic, bohemian enclave of artists and thinkers. Home to one of the first Medieval universities in Europe, the Sorbonne, the scholarly theme remains to this day, with various book sellers and literary cafés sprinkled throughout. Next door is stylish Saint Germain known for its literary cafés and fabulous shopping. 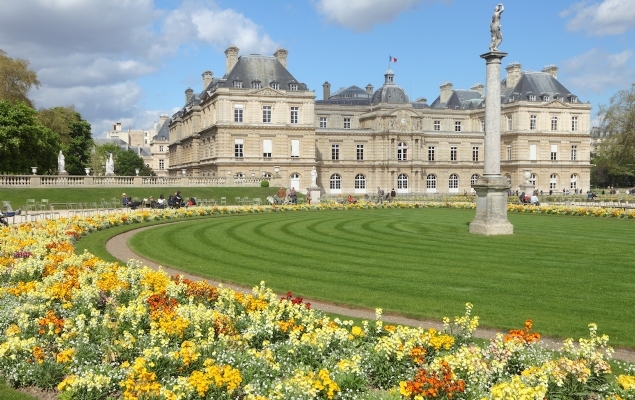 For a lively evening on the town, head to the Odéon and Saint Germain neighborhoods or enjoy a leisurely picnic in the sprawling Luxembourg Gardens. In contrast to the casual ease of the Latin Quarter, the Right Bank - or Rive Droite - is characterized by a feeling of regal elegance. 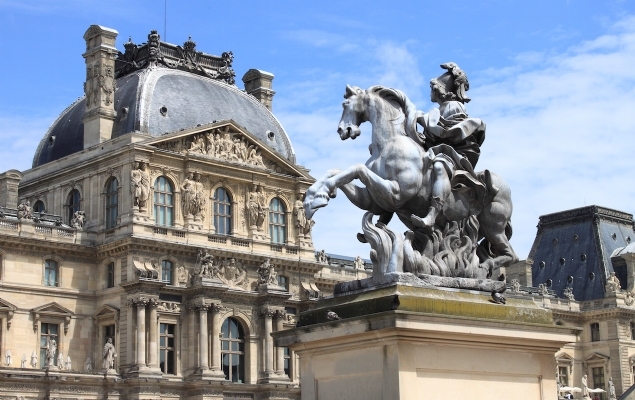 From the Louvre to the Palais Royal, both of which were once residences of the French monarchy, to the high-end shopping streets, world-class museums and magnificent architecture, this side of Paris is downright impressive. However, even though the Right Bank is steeped in history, it's also known for its young, hip culture of coffee shops and modern restaurants that offer a departure from conventional French establishments.